What Kind of Counselor Should You Be? The mental health field is large, and it continues to grow as more people recognize the value of a strong and stable mind. Knowing this, you might be attracted to mental health careers such as therapy and counseling, which help sufferers identify mental health issues and work through them without medication. Indeed, counseling is a critical element of the mental health puzzle, and the job market for licensed counselors is expanding — but you should recognize that there are dozens of different specialties within counseling, and you must choose one before you begin your practice. More important than your specialization is your skill as a counselor. It is imperative that you devote enough time to training for your profession; without the right education and experience, not only will you fail to qualify for mandatory counseling credentials (required by your state) but also you won’t be much use to your clients. Long before you can enter the counseling career field, you need a bachelor’s degree in a related subject, like counseling, psychology, sociology and the like. You might consider obtaining a minor in a subject that will supplement your counseling practice, like a foreign language or nutrition. Then, as you intern, shadow and otherwise gain job experience in the real world, you can complete a counseling master’s online, which is required by most states for licensure. However, even more fundamental to your success as a counselor is your personality and behavior. A good counselor is patient and empathetic, working to understand their client’s problems and concerns without weighting judgement or pushing negativity. You must be able to listen and analyze before you speak, and you must be comfortable interacting with a diverse range of people — not just people who look and talk like you. If you can commit to this lengthy education path and identify those traits and skills within yourself, you can move onto choosing the type of counseling that suits you. Marriage and family counselors tend to see clients in groups of two or more to address issues that may be impacting happiness and success of couples or family groups. While you might often see marriage and family counselors helping people handle relationship stresses like infidelity, you could see clients with relationships affected by a range of problems, including domestic abuse, eating disorders, post-traumatic stress and more. School counselors have broader job descriptions than other types of counselors. In this role, you will provide therapy to students struggling with mental, social and academic issues, but you might also assist students in planning for their future careers. This depends largely on the level of school you hope to serve; for example, elementary school counselors have vastly different jobs than college counselors. Mental health counselors focus on helping clients with mental disorders and stress. Often, a mental health counselor is a patient’s first stop for treatment when battling issues likedepression, anxiety and PTSD. While you won’t be able to prescribe medication for these problems, you can provide much-needed relief through other treatment strategies. Mental health counselors are perhaps the most common type of counselor, and as such they can find employment almost anywhere: hospitals, prisons, private practices, etc. Addiction and substance abuse counselors tend to work in hospitals or rehabilitation facilities where those suffering from addiction and substance abuse go to find treatment. Often, addiction and substance abuse develop as a result of an undiagnosed mental problem, and they will not disappear until that underlying issue finds treatment. As a counselor in this sphere,you can help clients identify what might be prompting their addiction and substance abuse, so they can ensure a more secure sobriety. Suicide counselors are highly specialized mental health counselors who only serve clients considering suicide. In recent years, rates of suicide as well as suicidal tendencies and thoughts have increased in the American population, but many of these people can be saved and live happy, healthy lives with proper counseling. Suicide counselors understand how to address the issue of suicide — which is a delicate process — and how to help those considering suicide choose a different path. Grief counselors see clients who are suffering from loss. Everyone grieves differently, and some people require professional help to work through their loss in a healthy way. 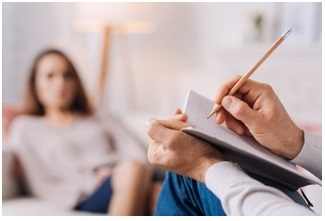 Some grief counselors lead group therapy sessions, to build connections between grieving individuals; others provide one-on-one services for personalized care. Counseling is a wide field, and there are even more types of counseling than these to choose from. You should explore all your options, but remember: the sooner you choose your specialty, the sooner you can begin gaining the specific knowledge and skill to succeed in your counseling niche.